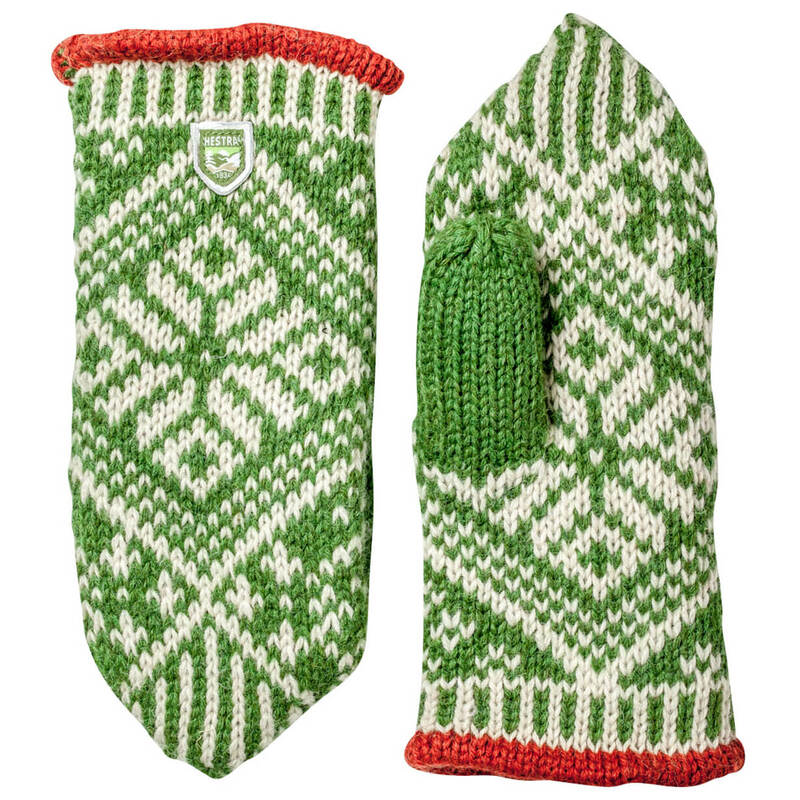 Cosy gloves with a traditional look: the Nordic Wool Mitt from Hestra! 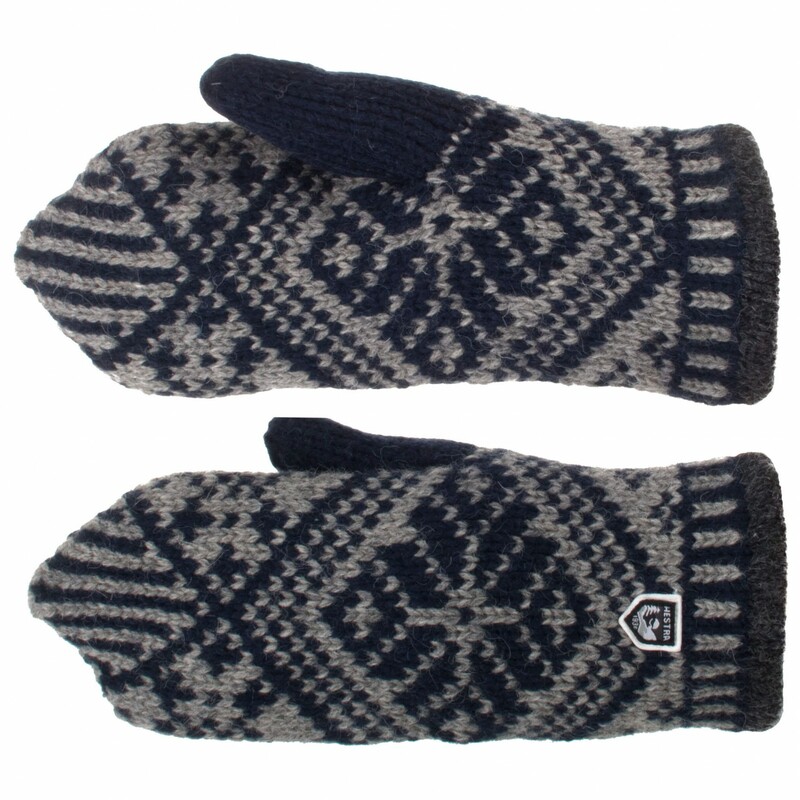 The mittens are made of a blend of wool and synthetic fabric that is both tough and durable. The wool is naturally breathable, allowing moisture to escape to the outside away from the skin. 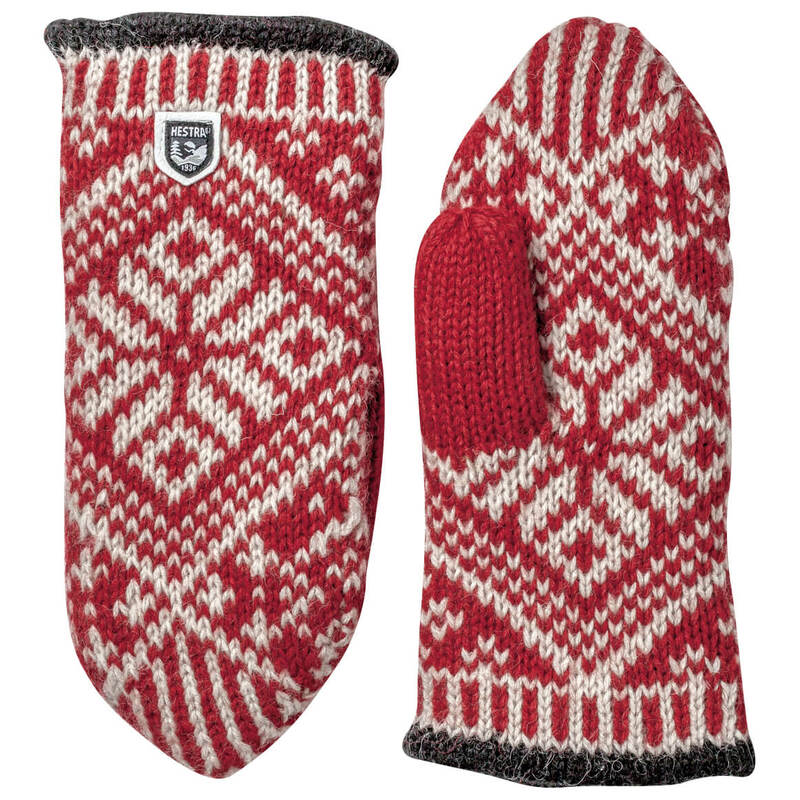 Of course, the mittens are soft and provide excellent insulation as well, even when wet. For added comfort, the interior has been fitted with a fleece lining that absorbs moisture from the skin as well. The beautiful traditional Norwegian pattern is guaranteed to turn some heads in the cold. 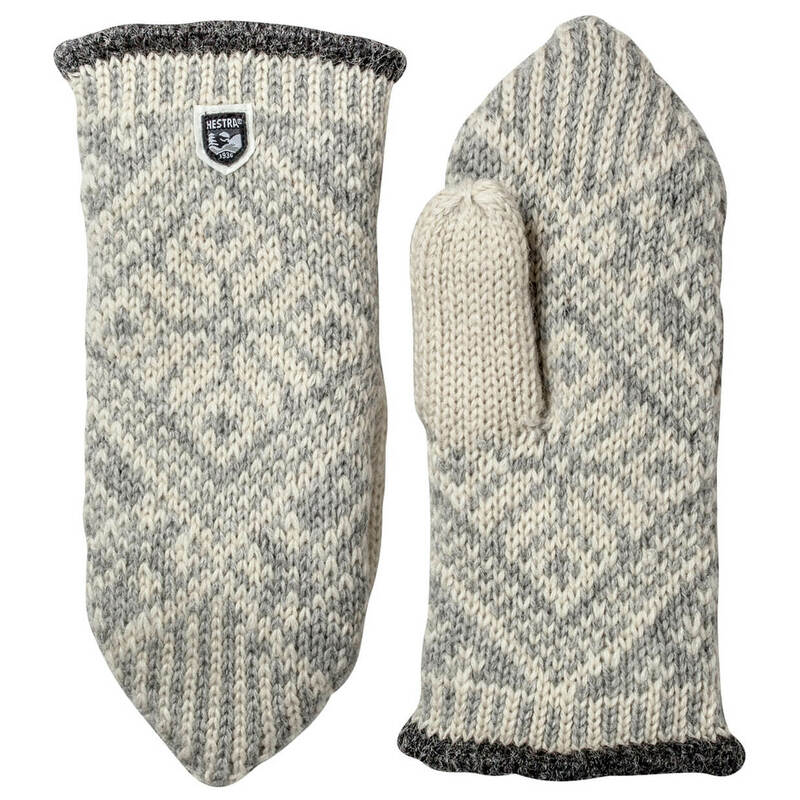 The Hestra Nordic Wool Mitt is a must in cold weather. 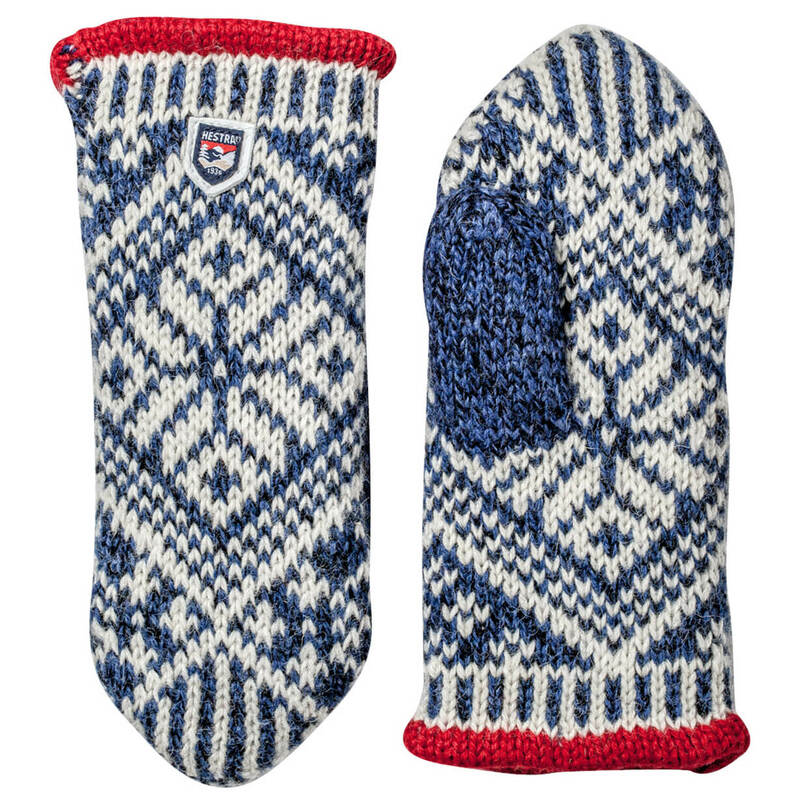 cosy mittens, ideal for very cold condiotns. 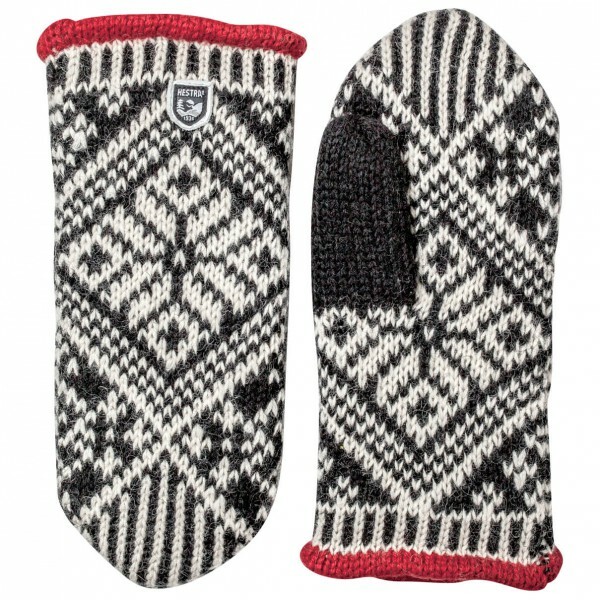 Used while trekking in Ladakh - very cosy and ideal to use out and about or warming up at the end of the day.